First and foremost, I would like to thank Katie at TDK, for sending me the TDK BA200’s for review! The TDK BA200’s are earphones that haven’t really “taken off” so to speak, and I hope through this review, I can bring it to your attention, that the TDK BA200’s are an absolutely marvellous set of earphones, that one simply must hear, especially at their extremely cheap price. The accessories, are what I felt let the TDK BA200’s a little down, especially in the tip selection area. You only have 4 sets of tips provided, and for the top-of-the-line earphone in TDK’s range, I would have expected some more ear tips. A good example of what I would have expected extra would have been some normal silicone tips, seeing as the dual flange tips irritate my ears quite a bit. On that note however, it was nice to see some Comply TX-100 Foam ear tips included in the package. Although, I didn’t use any of them as I felt the P-Series (not yet approved by comply) fitted and were very much more comfortable for my ears. 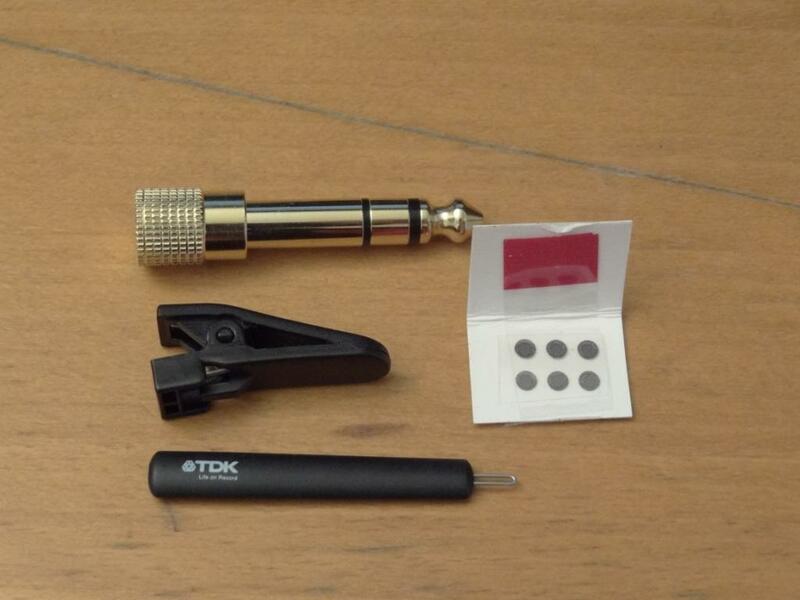 Overall, I was very much satisfied and content with the packaging, accessories that TDK provided with their BA200 model. I would have expected a little more of a selection of tips, but that is easily forgiven, as tips aren’t too expensive to buy. Now unto the build quality. I personally like the build quality, but can see it being a little troublesome as time goes by, thus the 7/10 rating given. The problem I have with the build quality is one of few things. First of all, I found the flat cable to actually be quite bad for the strain relief’s sake, and in fact in their lower end model the BA100’s the strain relief is none existent – meaning some tugging and pulling left and right, and the cable might be giving way quite soon. 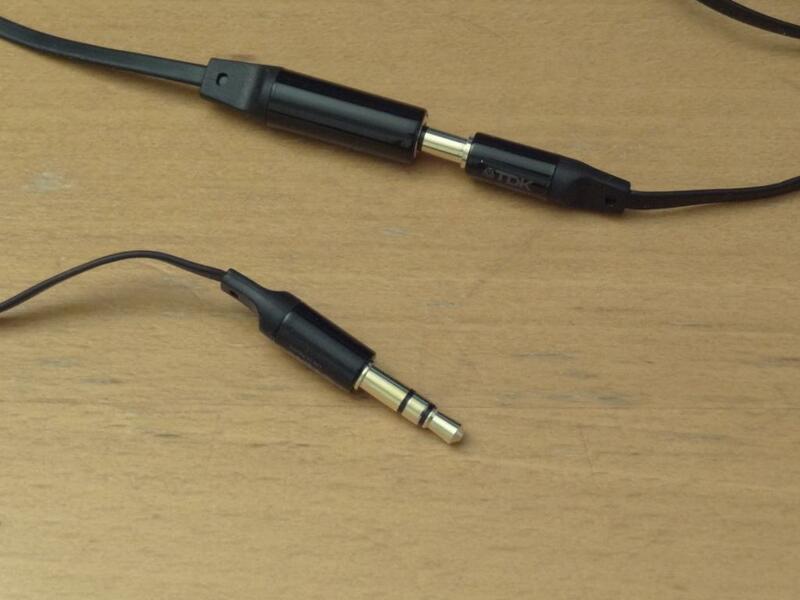 This is especially apparent by the jack, which is terminated by a 3.5mm gold plated straight cable jack. The straight cable isn’t very handy with on-the-go portability and more so due to the lack of a real strain relief with its flat wire, it means that I fear breaking the earphones by snapping their wire off their jack. Moving on from the jack a little up the wire, you will find the wire is split into 2 parts, simply because one wire is short, and the other, makes it a little too long. I feel the build quality is good, but the designing of having a too-long or too-short wire is beyond me. A little like the Denon AH-C751’s flaw of having a bulky extension connection, the TDK’s have a similar “problem” – and funnily enough it isn’t due to the actual extension connection, as that is quite a small discrete connection – it comes from the quite large splitter. It is by far one of the largest I’ve ever seen, contesting even my full sized Denon AH-D2000’s in size. 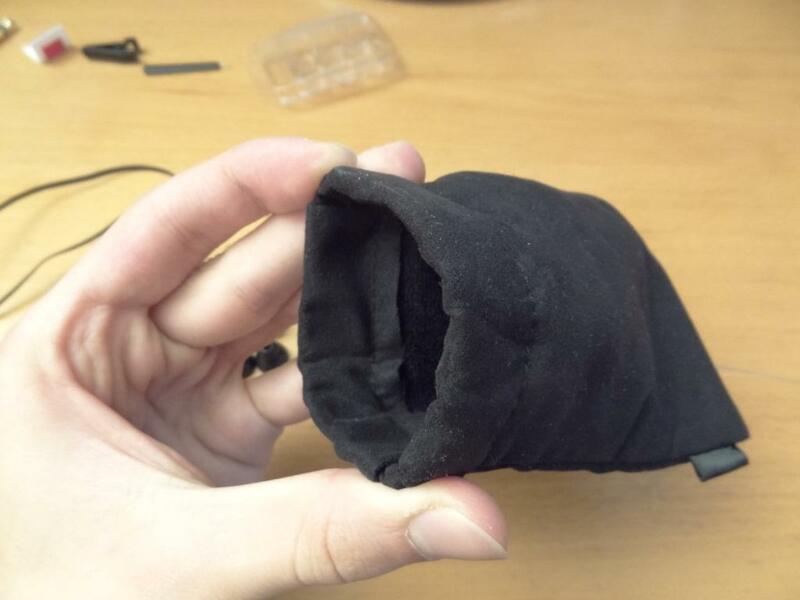 That said, the build quality of those two “bulky” factors of the earphones, is very good, however it does have to be noted that the overall build quality, would have been better, with a more discrete splitter, and a single straight cable. The housing of the earphones however, is something else – the earphones’ housing look beautiful, and their housing feels solid enough to be chucked around in your bag and/or pocket. I should also mention the wire is flat, meaning it is supposed to stop tangling, like on the Sony MDR-XB700 headphones. However I found that they did get tangled a little every now and then. Finally regarding microphonics, I found that there were literally non-existent, due to these being over-the-ear. Even though there is a large splitter and a extension cable, I was pleased to find no microphonics! 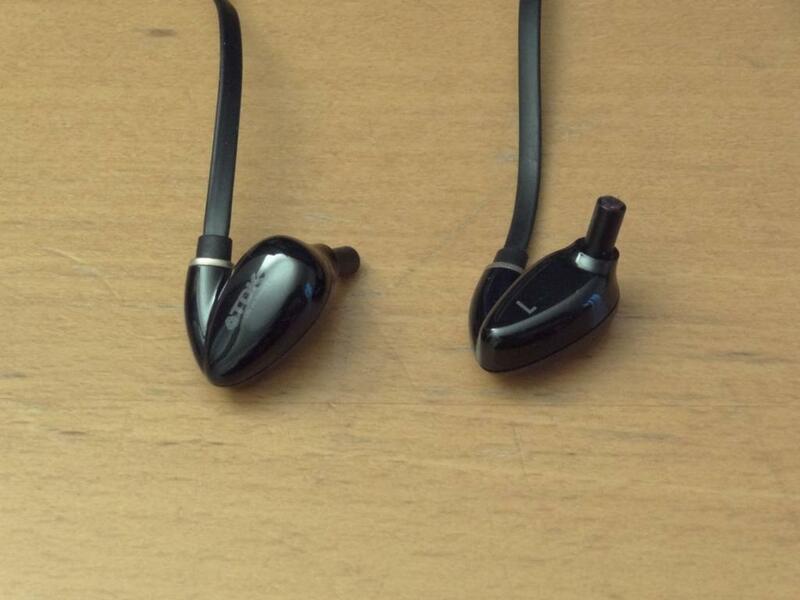 The look of the earphones, as said above, in relation to the housing, is beautiful. There is very much a professional look to these, and I quite like it. From the writing on the housing, to the discrete gold ring by the strain relief, all the way down to the 3.5mm jack being well designed (even though the glossy finish doesn’t help it in practice). So the look of these earphones is very much good. 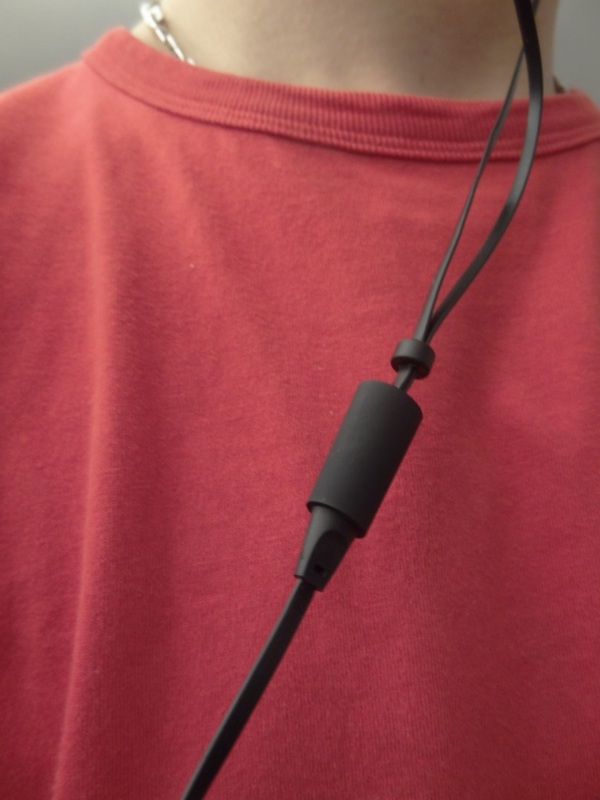 The main let down in their looks, is their chunky splitter, and the additional extension, making the lovely earphones look a little odd running down your shirt, which also runs into the design/build quality. Due to the set of Comply Foam tips provided and the housing, I found the isolation to be very good – although not excellent, to the point of not hearing everything in the outside world, whilst plugged in, the isolation that the TDK BA200’s provides, is very good. 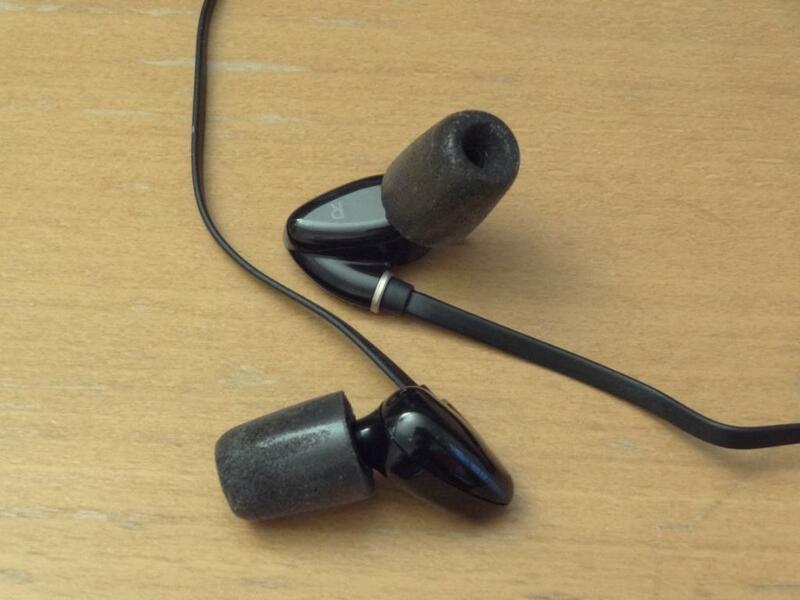 I personally use them with (un-approved) P-series tips, which provide me with great isolation and comfort. The comfort is great on these, despite their large-esk wire. I feel very much at ease with them, apart from one factor, the wire. Due to the wire being a flat wire, which could be seen as a positive and yet negative aspect of these earphones’ build quality; I feel that after a certain amount of hours, after wearing the earphones, the flat fable which goes over-the-ear, feels like it digs into your ear. As you cannot have it “flat” laying over your ear, as that digs into your ear and your head (what usually happens) nor have it laying vertically, as it is for one, almost impossible to do, and secondly would dig into your ear nevertheless. Thus the comfort is fine, although, I felt that it should be noted for people who wear the earphones for long periods of time, might realise that this issue might crop up, and you will be finding yourself with a headache, quite literally. 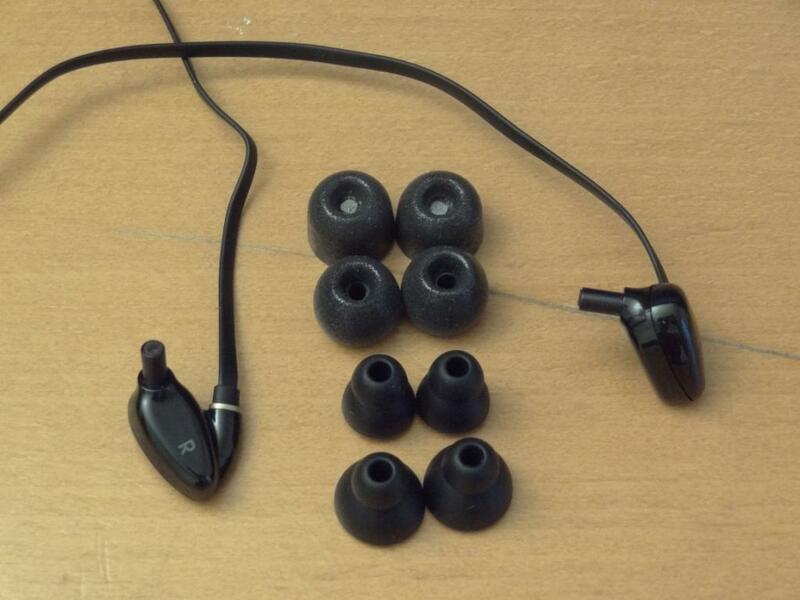 As it isn’t a major issue, and only crops up after many hours of non-stop usage, I felt a 8/10 rating is fair, as anything lower doesn’t do the earphones any justice, and nor does a higher rating, considering people might wear these for extended period of time, like myself. Finally the sound quality – the piece de resistance of the TDK BA200’s – put bluntly, simply outstanding, especially for its cheap price. 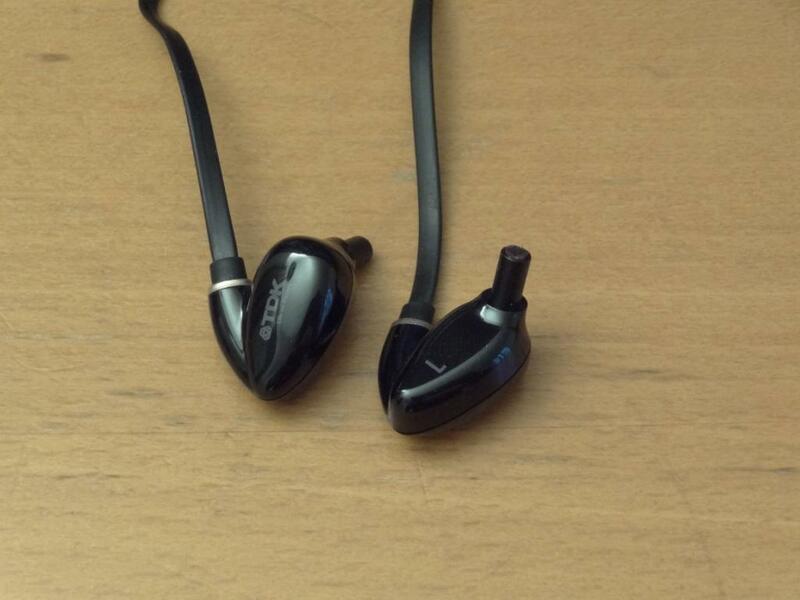 There are very few earphone that would pay more for, against their RRP’s, but the TDK BA200’s is really a no brainer. If I had to put a value on these earphones I would give them between the £130-250 mark. 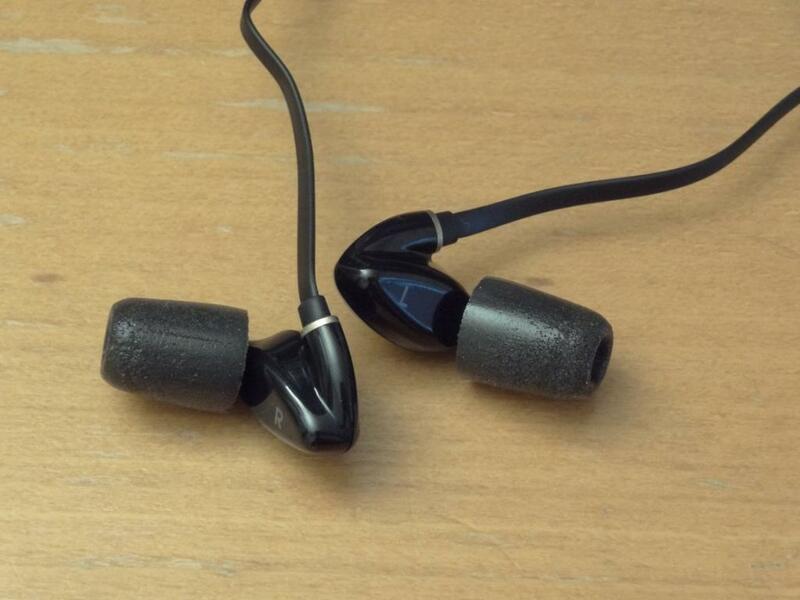 It is an overall well performing earphone that copes with quite a lot of genres. That said, the 2 things that let it down, so to speak, is it’s real lack of a mid-bass response, and especially its poor sub-bass response, thus not really recommended for bassheads, unless you got something like the DigiZoid ZO2 to boost it, like I have mine with me at all times! Finally, another thing to add, is that it makes bad recorded music sound terrible. 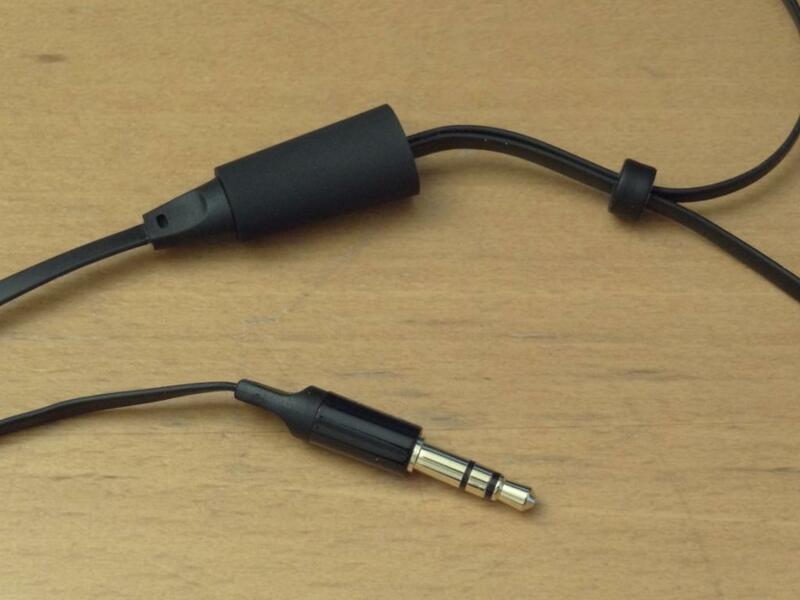 So in sorts, this is great for a reference earphone, as it doesn’t jump out at you, but yet is very precise. The lows, as said above, are the biggest let down of the TDK BA200’s, I wonder if TDK had included different filters, like Audéo PFE do, it would change the sound signature of the earphones or not. The BA200’s, don’t get me wrong have a nice subtle mid-bass, but their sub-bass is really almost non-existent – there simply is no bass rumble that makes me tingle. Even with the ZO2 tuned up, the TDK’s don’t respond that well. Again, this will depend on taste, but I felt these were similar to the Shure Se535’s lows. The highs of the BA200’s are exceptionally good. They aren’t as accurate as the Se535’s nor the PFE232’s (with the right filters), but they do sound exceptionally good, giving you a nice short-esk decay. The mids however, might not be to everyone’s taste. By that, I mean people who absolutely love mids, like on the Se535’s & PFE232’s will feel there is something missing, and doesn’t feel “right”. That feeling is the feeling of warm mids. Not to the extreme of a V shaped signature, like on the TF10’s, but a slightly different/veiled mids response. I personally really love them, especially, again at their price range. Simply outstanding. I can’t believe £160 earphones sound this good, and more so, have such finesse to them. The soundstage is very good as well, you get a good sense of space, with your music. I don’t feel these are deep or wide sounding earphones, but just perfect. They could improve a little, thus not the perfect rating, but I would definitely say these are solid performers. Overall, the TDK BA200’s are excellent as a package for their price. I felt, each time I put them on, like I was listening to slightly tuned down PFE232’s. Considering the PFE232’s retail at £400, you can see that I highly recommend the TDK BA200’s from my review. It’s unfair for me to realistically compare the BA200’s to earphones in their same price bracket. I honestly feel, that the BA200’s could be priced even higher than they are, but find it brilliant that in the EU, we can find them priced at around £160. Which if you ask me is an absolute competition destroyer. It comes in at a very competitive price, but yet is so very impressive, by its looks, the packaging, and most importantly, the BA200’s overall sound quality. If you are looking for an earphone priced around £150, and have something to boost the bass (if you are a basshead) then the BA200’s should be on top of your list. This entry was posted in Audio Reviews and tagged BA200, Review, TDK on June 18, 2012 by TotallydubbedHD. Can you enlarge on the difference between the ba200 and pfe232 ? Also do you have any knowledge of the audio technica ck100 pro and how it compares to the two ba200/pfe232 iems ? As i am interested in these . Thanks for the comment :)! First of all, I have no knowledge of the CK100PRO’s, but as for comparison. Sure, the long story short is – if you can afford the PFE232’s then get them, they are, as said in my review, the best earphones I’ve ever heard. That said, they are £400. If budget is something that concerns you, then the TDK BA200’s are absolutely excellent. -Lows on the TDK seem non-existent, compared to the likes of the PFE232’s, especially with green filters. Thus the TDK’s don’t have a great mid-bass, but certainly their weak spot is their sub-bass. 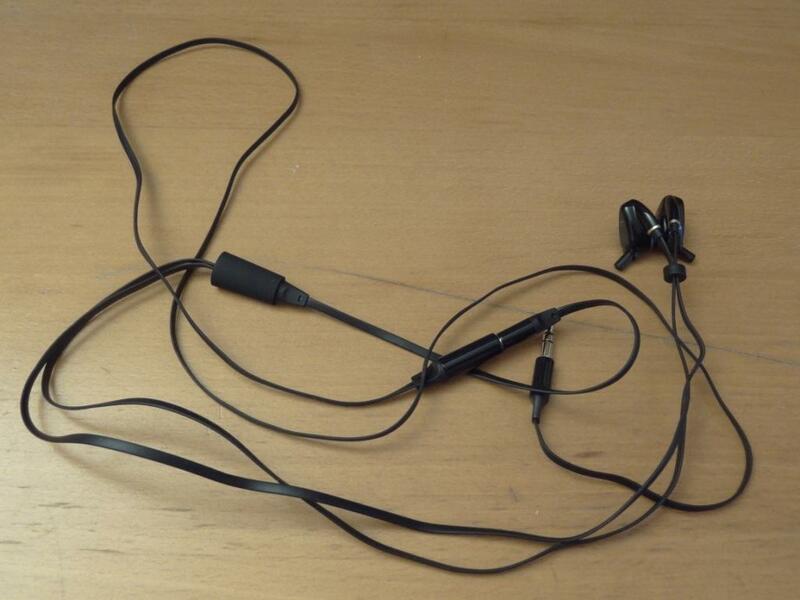 So as you can see the PFE232’s beats it, in pretty much everything, apart for one thing: Affordable earphones. 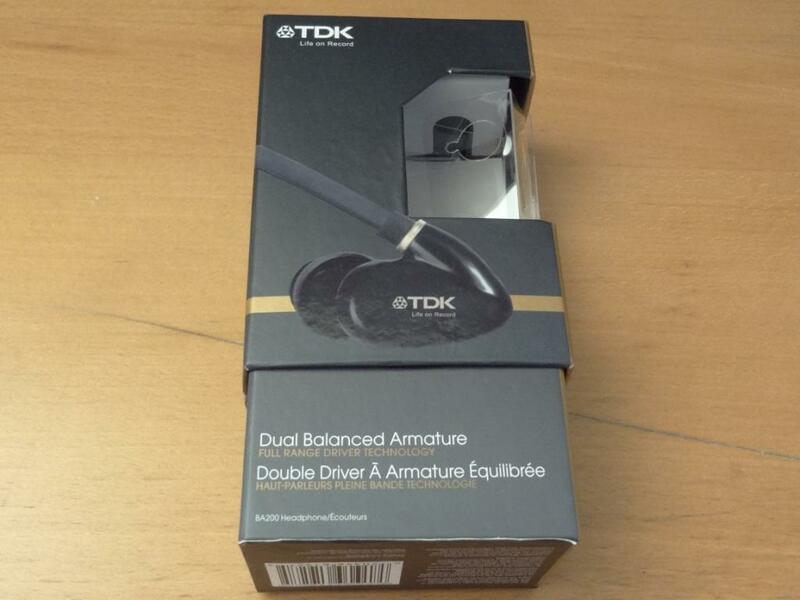 For the price the TDK’s come at, at around £160 – they are very much a bargain, even up to £250 (when compared to the se535, gr8’s) These are earphones that shouldn’t be under estimated for their price. Dude, how do you compare these to the PFE121s? I put some more emphasis on the mid-range than the lows and highs, so do the PFE121 worth their extra money than the TDK BA200s? I do have a plan to just get the PFE232s, but I’m gonna have to save up for a long time (possibly nearing a year) due to other things in life. 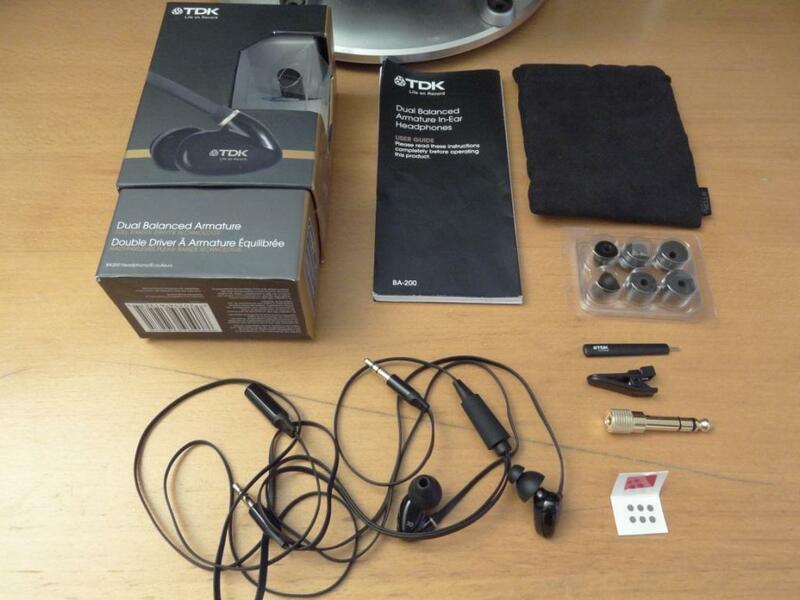 Well the 232’s beat them, but the TDK’s are my next favourite earphones, pretty much of all time. That said if I didn’t have the ZO2, I wouldn’t think so highly of it, due to my love of bass :). Where abouts in the world are you? I could loan mine :)! I live in Malaysia, but I’m not all too interested in loaning things like that because returning it will be troublesome for me as I don’t have much free time. Anyway, these are affordable but still a bit hesitant whether to get these or the PFE 121/122 because I never heard any “no” for the Phonaks. And I hate the extension cable thing. The last time I got a pair of earphones with that kind of thing (it was a Philips pair, can’t remember which model) it felt heavy and like “pulling” the earphones down which made the phones uncomfortable and prone to jumping out of my ears. PS: I’m having a daydream about skipping the PFE 232 and just get some custom earphones when I’ve finished with other things that I need to do. Unique Melody Miracle is a realistic target… if I can save up some good money for 5-6 months. Thanks for your review which provides a lot of insight! Regarding comfort: my ears seem to be out-of standard, in the sense that the front- and rear-pieces of cartilage in my auricle are closer to each other than average. This makes e.g. 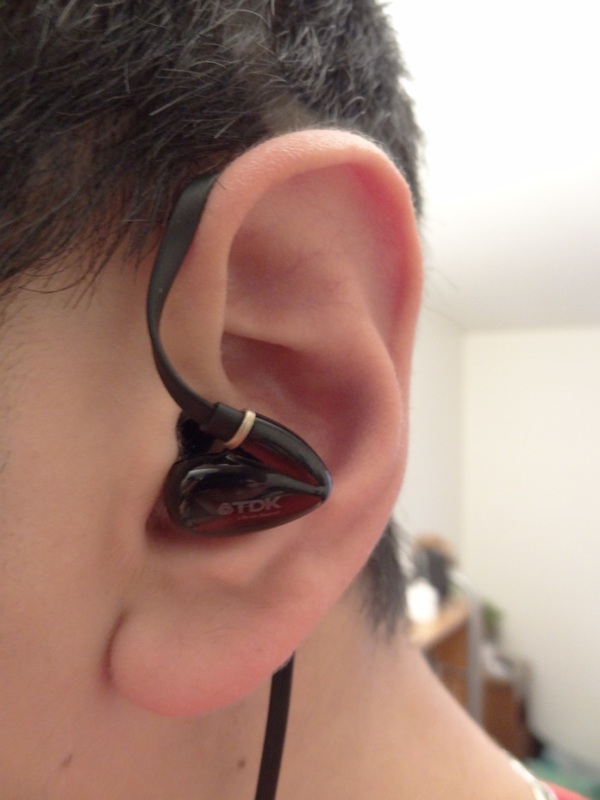 wearing the Shure SE215 very painful. The TDK BA200 seem to have a simlar design; however in the picture in your chapter on Comfort, they seem to come out of the auricle, rather than being fit between the “walls” of the auricle. If that’s true, they could offer a sloution for my problem. Is my observation from your photograph correct? Well these are very much like the SE215 – in terms of their nozzles. 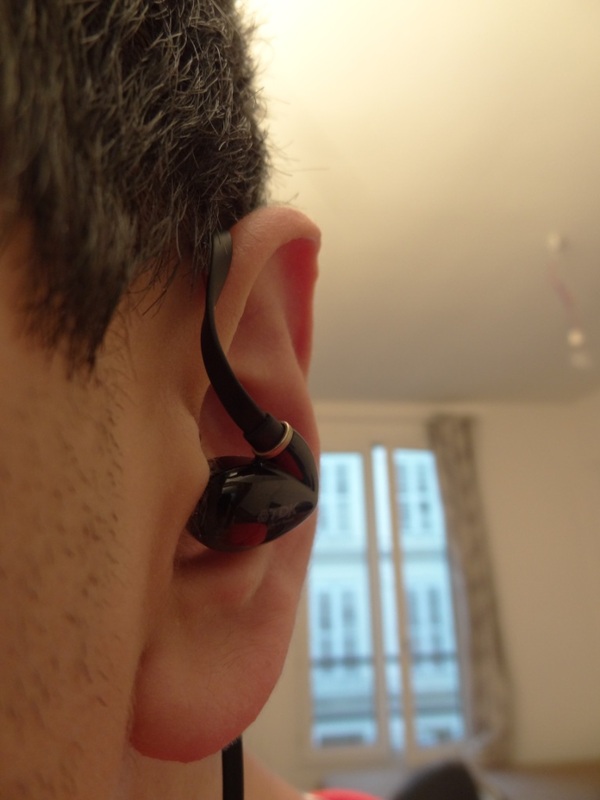 As for how they fit in my ears – that’s because I had some Comply Foam tips on them, so that might be a slight misrepresentation on my behalf on how they fit. Long story short: I suggest maybe looking into smaller earphones like the Fisher Audio products, or hisoundaudio as they seem to fit on everyone’s ears. The problem you face, I feel that earphones in general might not be the best solution for you, unless you go via the custom route. 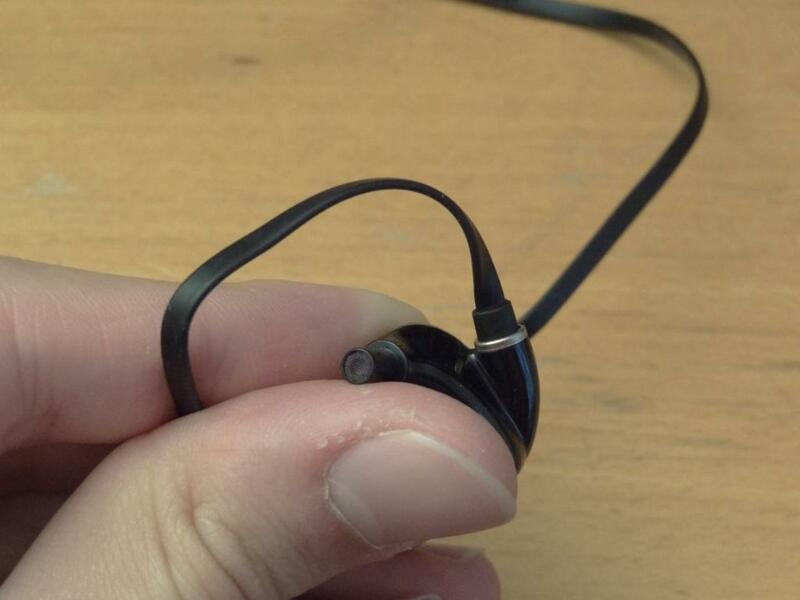 I could be over-thinking/looking this, but it seems to be that long nozzle earphones don’t fit on you. Thus, the shure’s and westone’s would be, in theory out of question for you. 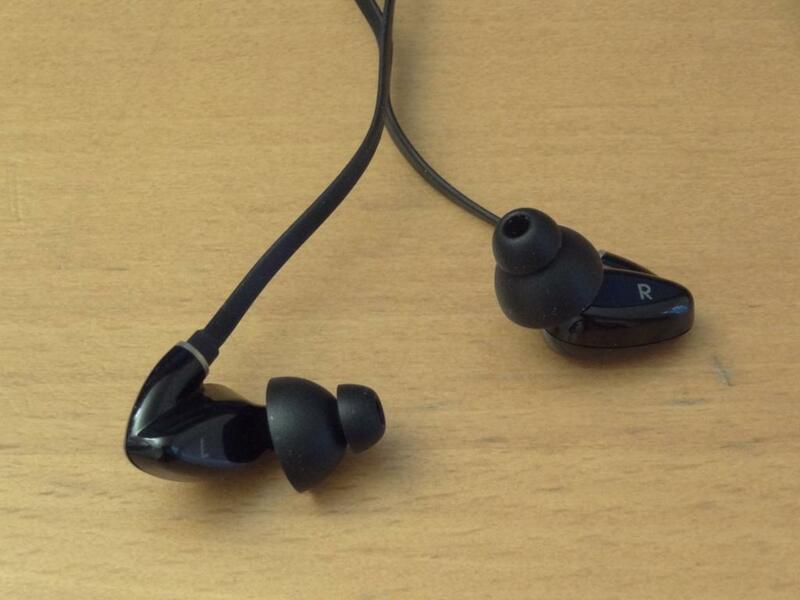 Do/would short nozzle earphones, like the Monster Turbine’s for example hurt your ears too? Nice review and one of the only thing I disagree with is that you say the mids have something missing and that they can sound veiled. I think the mids are one of the strong points of the presentation and sound a lot like the UM3X or even the SM3 and really their sound signature over all is much like though’s 2. They sound quite balanced at times and they do a wonderful job of isolating vocals like a stage monitor. Also the bass is quite good for a dual BA, now I know there not anything like a dynamic driver or even the PFE 232’s bass but from my J3 just on BBE+ setting and paired with my E11 on EQ 2 the bass has as much impact and depth as the e-Q5 or even the EPH-100. Everyone hear thing different though so that was just how I hear a few thing but I digress, I really like your blog and reading your reviews helps me in making certain purchases. Thanks a lot for the comment – long time since I’ve spoken about the BA200’s! Well I feel the BA200’s have a warmer signature, if you would like to put it in a different way – they, at least for me, aren’t analytical, nor sharp in their reproduction of the mids. That said, they are extremely enjoyable, and especially if one hadn’t heard other earphones, like the PFE232’s someone would be extremely happy with them. I still find their price to be an absolute bargain for what can be had. From memory I found the UM3X very analytical, and I’m surprised you feel that the TDK’s and the Westone’s share a similar trait, in their mids. As for bass, yes they are reasonably good, but when it comes to extension and sub-bass (forgetting mid-bass at the moment) – I felt the BA200’s definitely had something lacking and missing. Have you listened to the Vsonic GR07 (MKII or Bass Edition)? If you do, how do they compare to these? Are the BA200 good for heavy metal and rock music in general? I haven’t listened to them no. MKII I have though – you should see my review on them. You mean the Fischer Audio DBA-02 MKII? Because there is a Vsonic GR07 MKII and a GR07 Bass Edition. I searched on your site for a Vsonic review but found none. Ah OK, indeed I do – no idea about them then sorry! It’s all good, don’t worry. Try to find BA IEM (not bass head, jazz music) within <$150 budget. Which one you recommend ; TDK BA200 or Phonak 112? Hard choice. For Jazz music, due to the sound signature, I would opt for the TDK BA200.